We have what you need to fly. 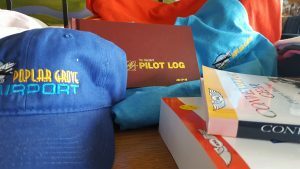 Log Books, Headsets, Books, Hats, T-Shirts, Jackets and hoodies. Stop by the flight office! You can also order gift certificates by either calling us or by ordering online. After your order is placed we will email you a printable gift certificate.